Life of a WIS is expanding the "Reviews" section to now include reviews of aftermarket straps. 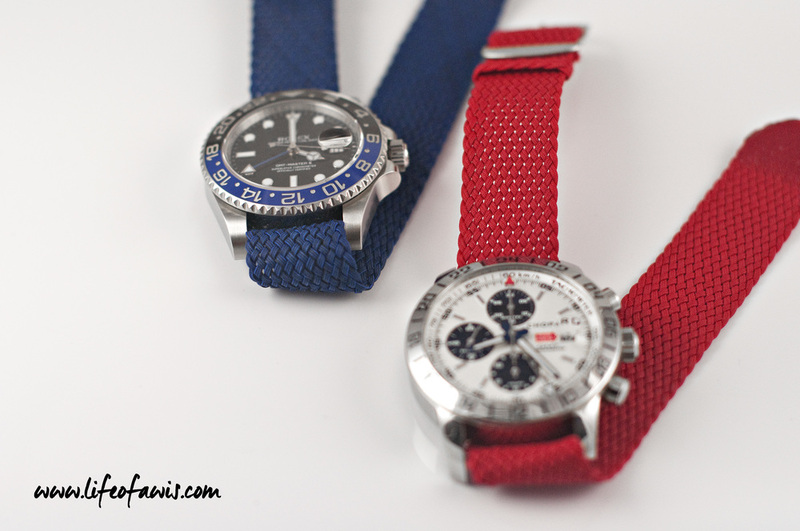 The first straps to go through my tough scrutiny were these perlon straps (blue and red) from whatchs.com (@whatchs). These straps were reviewed on 5 different criteria. The review is for these specific straps, other straps may perform differently. If you would like to submit your product for a review, please contact me. 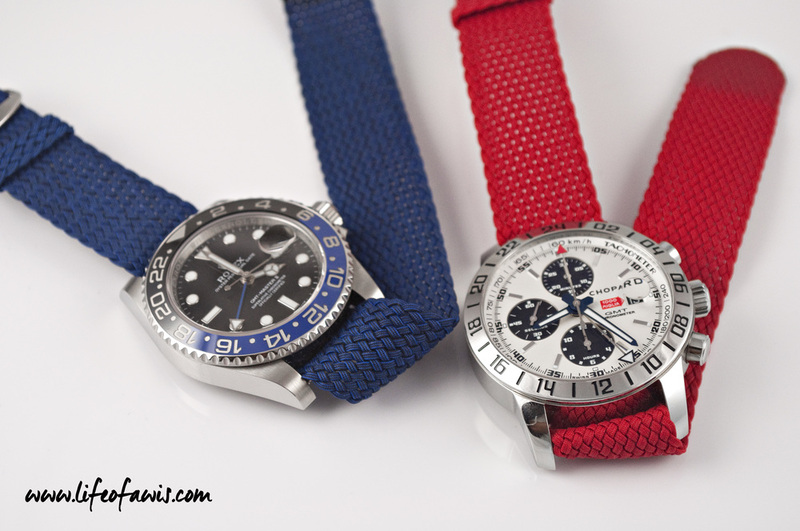 The two watches used to match these perlon straps were the Rolex GMT-Master II and the Chopard Mille Miglia. 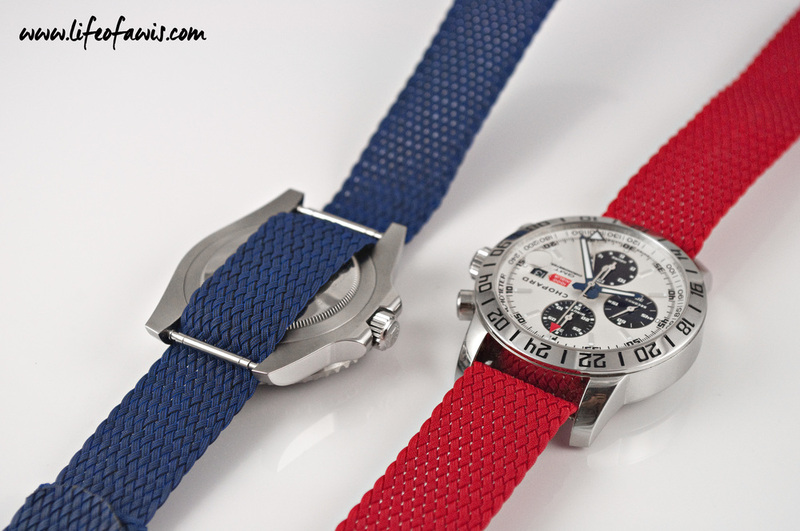 I must admit that when I first saw these perlon straps on Instagram I was not sure what to think of them. But the more I saw them the more I liked them. 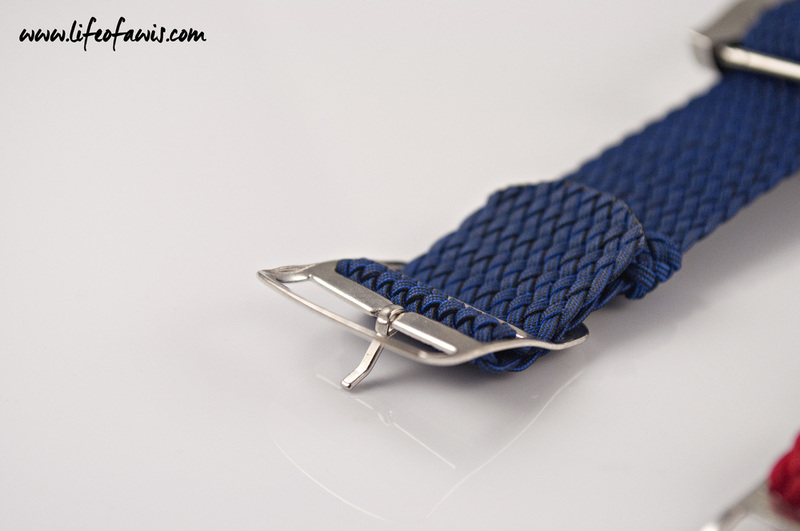 The actual pattern of the perlon strap is what makes it attractive, at least for me. It adds texture and character to the strap. The general structure, fitment, and idea of the strap is much like a regular nylon NATO strap... but a lot sexier. 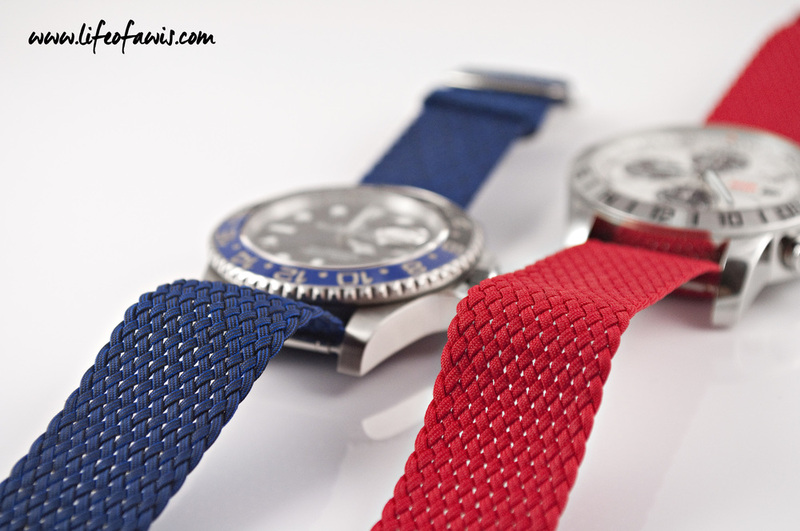 The pattern of the perlon strap gives it texture and character. The strap is well made and appears to be of high quality... the weaves are perfect on both straps. My biggest problem with these straps in terms of quality is the flimsy tang buckle that it comes with... but to be fair, it seems like most (if not all) perlon straps have similar buckles no matter who the supplier is. Strap seems durable and ready for years of use. 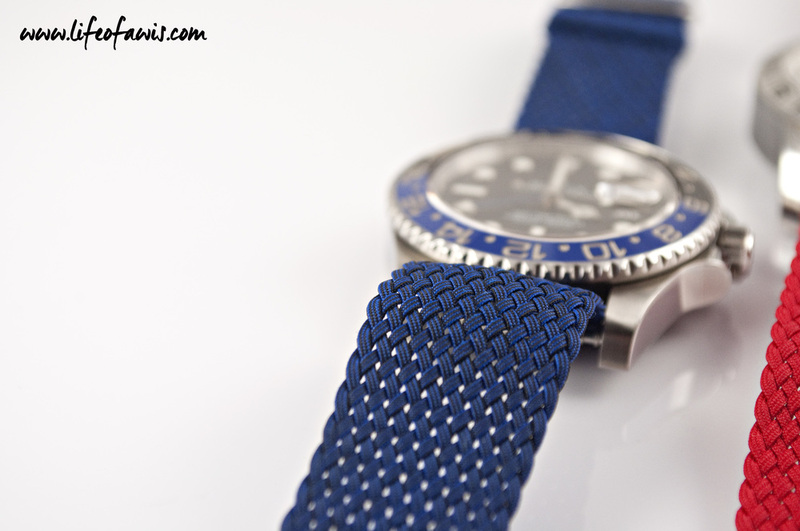 One of the things that I love about these perlon straps is the perfect fit that you can achieve with it on your wrist, since you can push the tongue of the tang buckle through the fabric at any point (not constrained by the usual predefined holes on the strap). The only downside is that it might take you a while before you successfully push the tongue through the right crevice, or maybe its just my lack of practice. 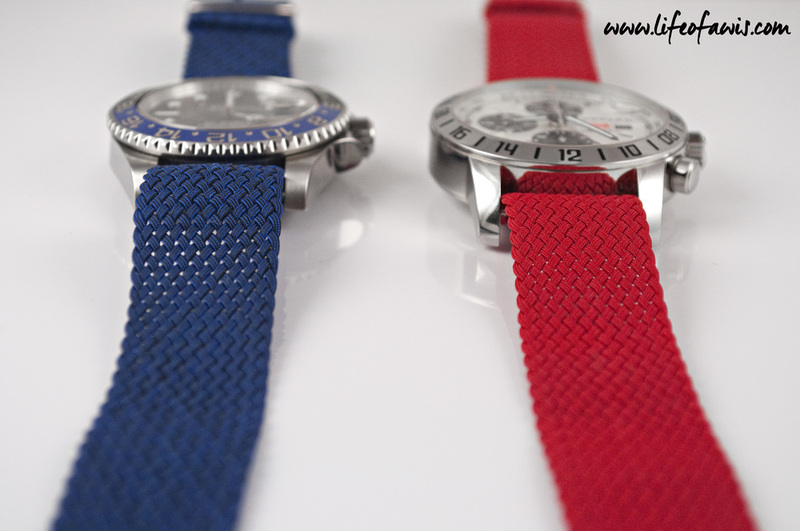 The width of these perlon straps were spot on, resulting in a perfect fit on the watches. 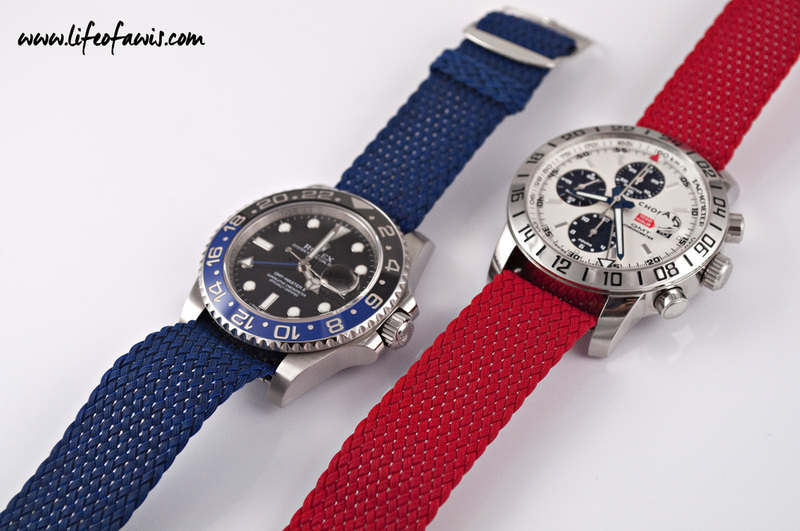 I must say that these two watches look quite nice with these perlon straps. Let me start off by saying that my wrist is extremely particular when it comes to strap comfort, which is one of the reasons why I cannot stand deployant buckles for the most part. The overall comfort with these perlon straps is ok... they are soft, but the problem is by the buckle area where the strap is bent to obtain closure on one of the sides. The edges where the strap bends can be considerably sharp and stiff, which digs into the skin. Also, to seal the edges of the strap, the material is heat pressed (burned) to prevent the threads from coming apart. These burnt parts are inherently hard and can be uncomfortable against the wrist at the right places and at the right angles. 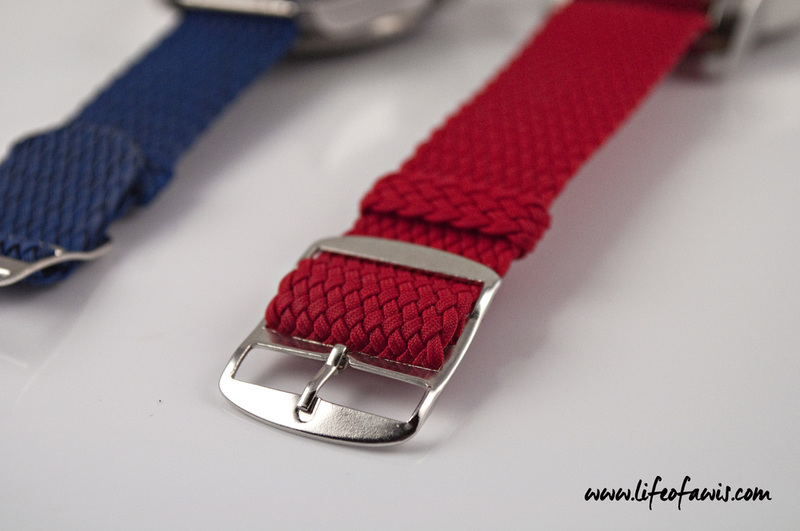 However, not all the straps are identical, the blue strap was significantly more comfortable than the red one... so each strap will be different. The edges where the strap bends can considerably sharp and stiff. Burnt parts of the strap can be uncomfortable against the wrist. 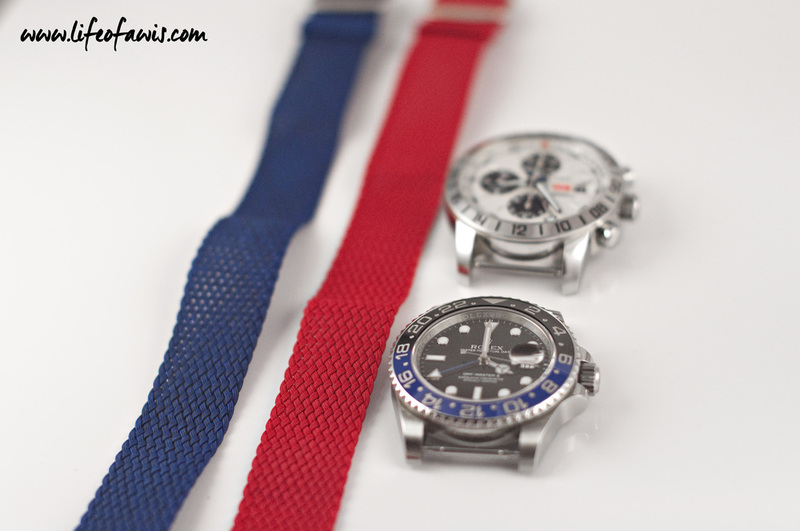 For $16 each, you cannot go wrong with these perlon straps if you want a customized look on your watch. 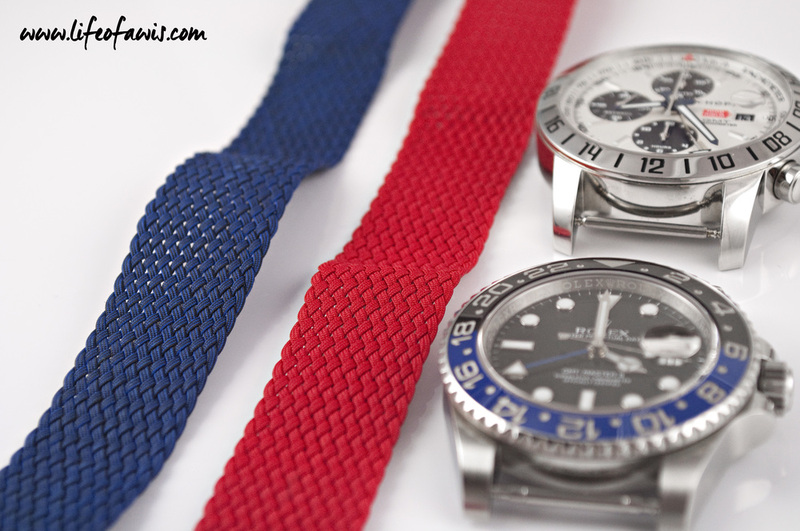 With the wide variety of colors available, there will be one that will match your watch and your personality perfectly. 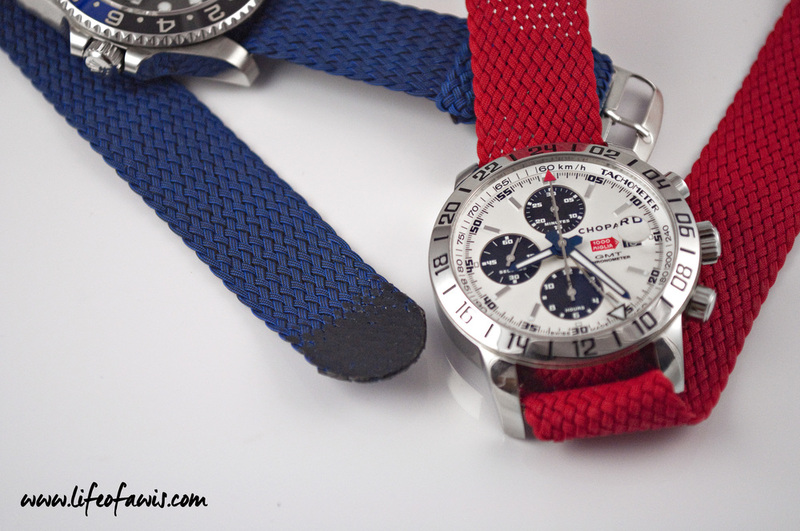 An affordable, different, and fun alternative to the usual aftermarket strap. If you would like to submit your product for a review, please contact me.